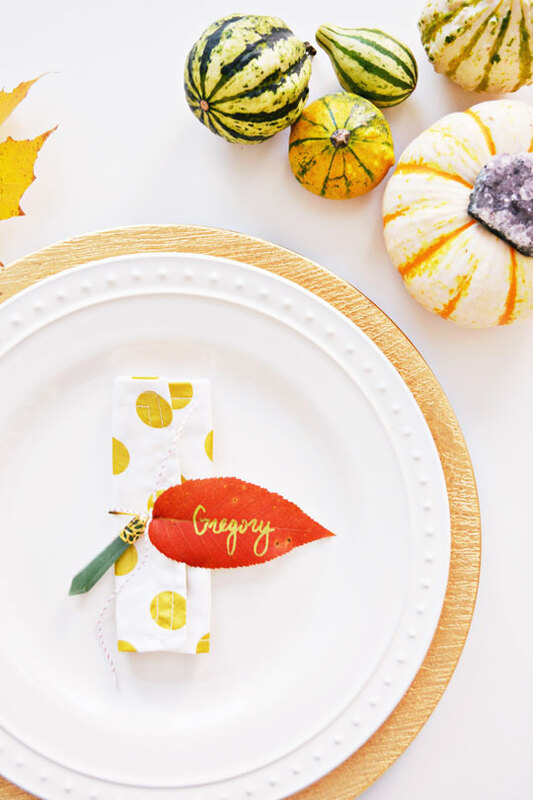 We wanted to get in one last fall/Thanksgiving post in before we go full-on Christmas over here! 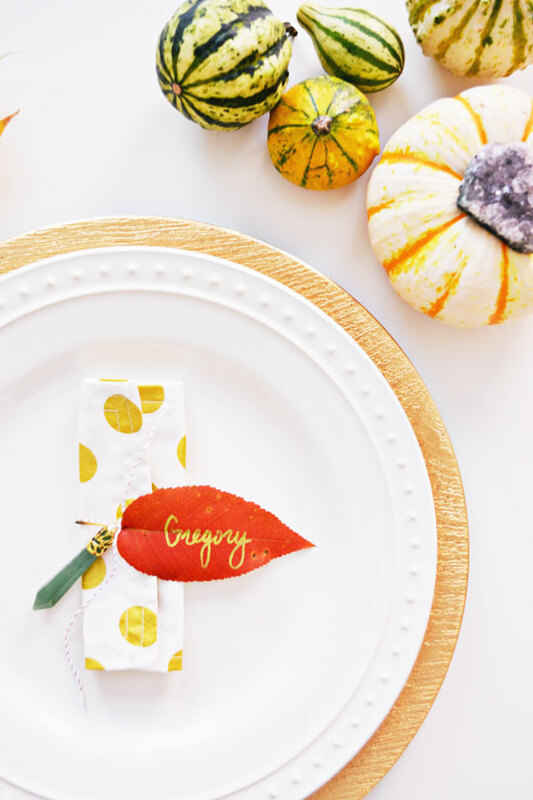 PandaHall recently sent us the prettiest gemstone pendants and I wanted to incorporate them into Thanksgiving decor – I mean how gorgeous is the jade color next to autumn orange? Head on over here for more of their pendants! Also, in case you are wondering what to do with your kid’s while you are finishing up your mashed potatoes, this would be an easy craft for them to help with! First, go gather some gorgeous leaves, there should still be a few out there hanging on! 1. 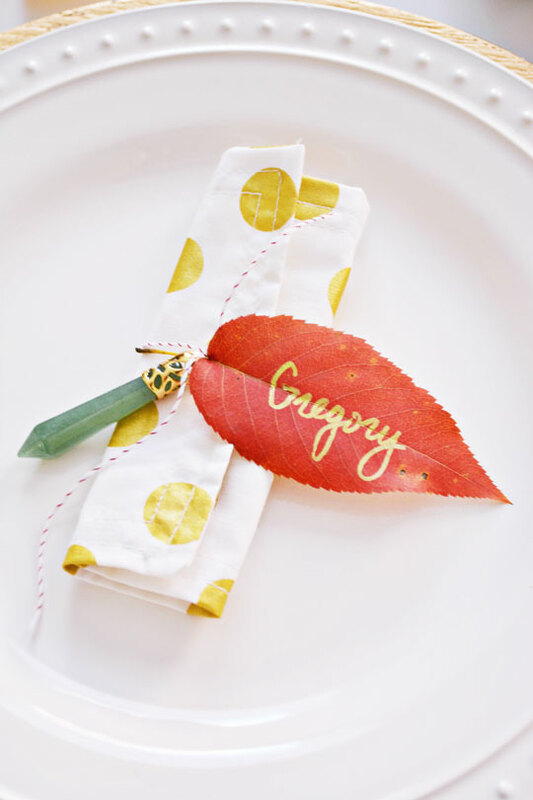 Write the names of your guests on the leaves using any gold marker or pen. 2. 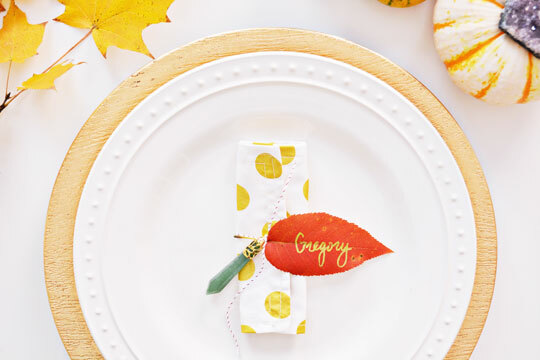 Next, fold your napkin into thirds or just in half depending on how large the napkin is. 3. 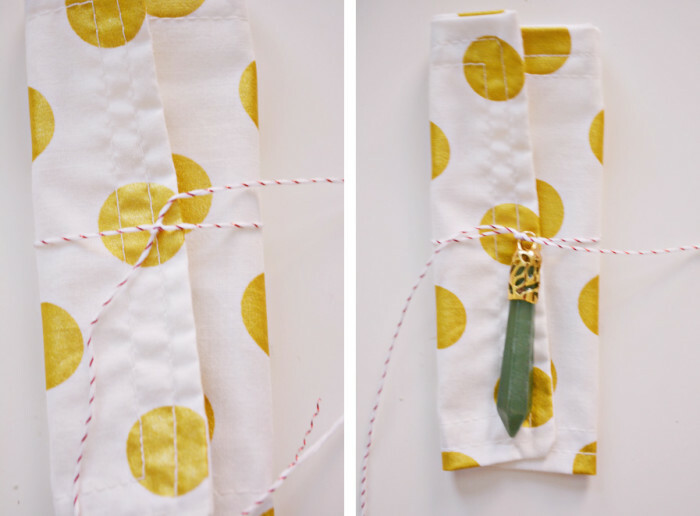 Tie twine around the napkin and then tie the pendant in the middle like below. 4. 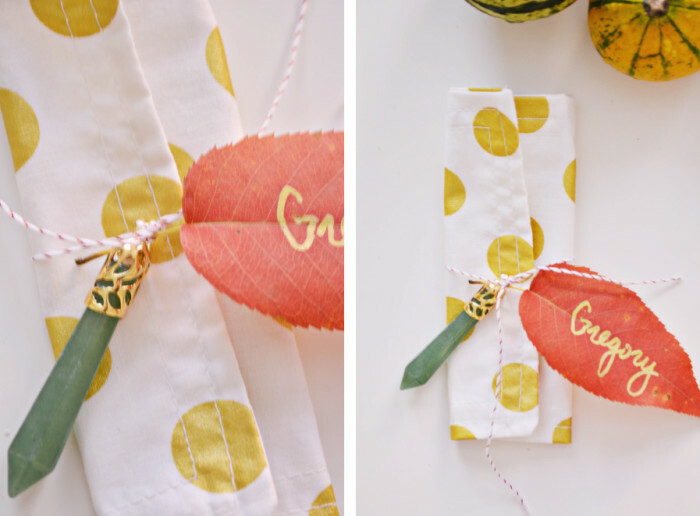 Trim the leaves so you have just an inch or two of the stem and then the the twine around the top of the leaf stem. 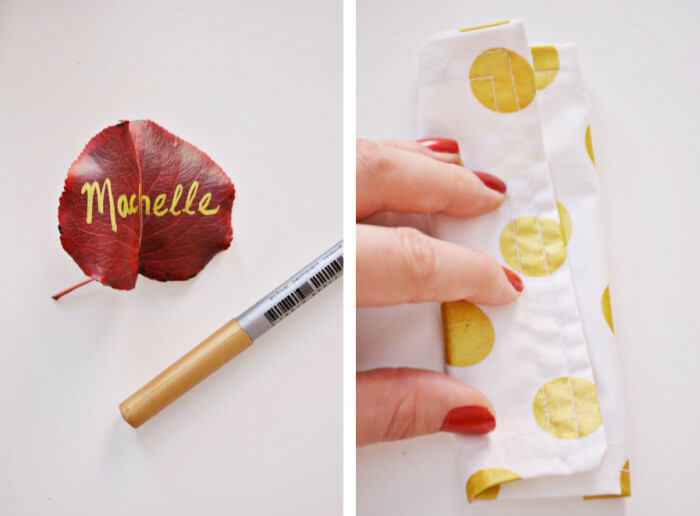 Now you have your lovely napkin ring that also doubles as a place card!